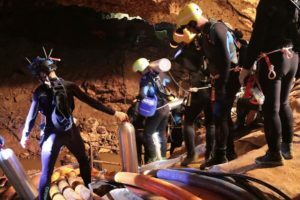 Over the past few weeks, most of us were transfixed by the dramatic events in a cave in northern Thailand. The eventually successful quest to rescue twelve boys and their young soccer coach captured our imaginations and drew people together in a shared hope like few other stories in recent years. I think that at some primal level, all of us can identify with the feelings of being trapped underground and unable to get out, because somehow these stories always get us hanging on the edge of our seats, glued to the news reports, following every development until the end. Many of you will have vivid memories of doing the same thing almost exactly 21 years ago as rescue workers dug Stuart Diver out from under the wreckage of a ski lodge hit by a landslide at Thredbo in New South Wales. The following year, I based one of my most powerful ever sermons on that story when the gospel reading of the search for the lost sheep came up. Perhaps next year when that story comes up again, I could redo it based on the events of these past weeks. 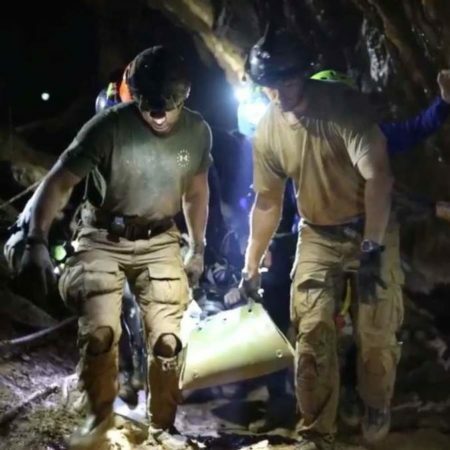 But the global impact of the Thai cave rescue has been so profound, that I want to attempt a preliminary consideration of it tonight. The bible readings are not as obviously relevant, but there are some connections that can be made. I’ll confess up front though that this sermon is probably not driven by the scripture readings as much as I normally intend. The first and major connection that I want to make is a very general one. A big part of what captivates us about stories like the cave rescue is the wow factor. When we comprehend the almost impossible odds of a successful rescue, and realise what extraordinary bravery and commitment it takes on the part of the rescue crews, we are just blown away with amazement. Wow! They actually went for it, and they actually pulled it off. Wow. And the world, usually so fractured, managed to unite and work together the way we always wish it would. Wow. Just wow!! Once when I preached on the reading we heard tonight from the letter to the Ephesians, I titled the sermon “Wow!” I think that that was the impact that the Apostle intended these words to have when they were written. He is trying to stand back and convey something of the big picture of what God has done and is doing to totally transform the world, and he’s just blown away with amazement. Wow! God has actually gone for it, and is actually pulling it off. Wow! Although still fairly general, the connection with this reading goes beyond just the wow factor. The amazing big picture that the Apostle is describing is a picture of a cosmic rescue mission. It would be easy to over play this card in light of recent events. I was seriously tempted to base my sermon around a rewrite of this passage using the cave rescue imagery as the main focus. But to be honest, I’d be stretching the imagery a bit too far. The Apostle uses the image of the exodus from slavery. 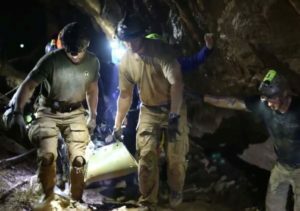 The cave rescue imagery is not unrelated, but it is not the sole or even major focus, so I’ve pulled back from trying to make the passage fit the image. I’ll try to keep it in perspective then, but the image of being trapped in a dark and deadly place and being totally unable to rescue ourselves without a major outside intervention is a good picture of the sort of predicament that the Apostles describe the human race as being in. All natural escape routes have been cut off by a rising tide of corruption that cuts off the fresh air and threatens to swallow us up in its toxic slime. But in this passage, the Apostle’s focus shifts, much as ours did in recent weeks, from a preoccupation with the predicament to the wow factor of the subsequent rescue mission. Despite our predicament, and despite the fact that we had done nothing to deserve God’s concern, God “chose us before the foundation of the world”, and “destined us for adoption as his children through Jesus Christ, according to the good pleasure of his will.” “In him we have been recovered at great price” and forgiven for getting ourselves into the mess in the first place, and all this not on the basis of any cost/benefit analysis or judgement of whether we were worth it, but simply “according to the riches of the generous grace that God lavished on us.” Wow! Just wow! 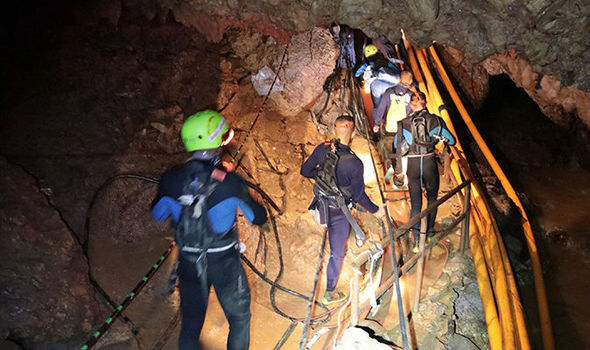 One of the things that is astonishing about the cave rescue when you stop to think about it is that it was allowed to happen at all. So much of the time, our world is completely bloody minded about these things and deems thousands of imperilled lives to be not worth saving. 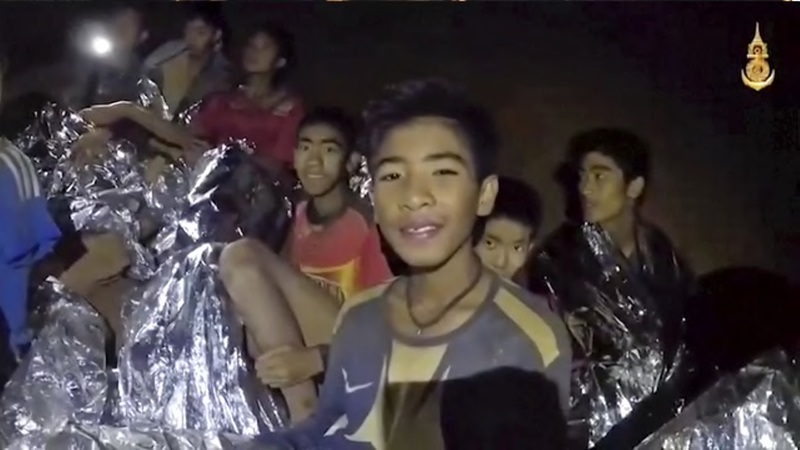 I’m very glad that no expense was spared to rescue those boys, and I totally support it, but if you remove all emotion from the equation and ask whether it was worth it, the ethics of the situation are actually quite complicated. On the one hand, every life is precious, and we should always do what ever it takes to save every life. But on the other hand, although I haven’t heard any figures yet, that rescue operation will have cost many many millions of dollars. At least one of the boys was a Rohingya refugee from Myanmar, and not very far from the cave, there are refugee camps where thousands of Rohingya lives are in serious danger, and those millions of dollars could save many times more than thirteen lives. The truth is that the world could easily do both if we had the will. And a big part of the wow factor that the Apostle is trying to wake us up to is the astonishing fact that God has the will; that God does not suffer compassion fatigue induced by the seeming impossibility of the world’s ongoing problems, but that God is just as gripped by the plight of the most anonymous stateless refugee far from the TV cameras as by the high profile cases with plentiful made-for-TV pictures and back stories. This is what the Apostle describes as “the riches of God’s grace lavished on us.” Grace is precisely the generous desire to take all cost-benefit analyses out of the equation and treat all of us with the same passionate commitment that has just been focussed on those twelve boys in the Thai cave. All of us. That’s you too. The fact that our world is so partial and inconsistent in showing such compassion and commitment is one of the things that this recent experience calls us to reflect on and address. In Thailand in these weeks we have seen humanity at its best, but all too often our news is full of stories that have more in common with the grotesque events we heard about in tonight’s gospel reading. A good man is beheaded for the entertainment of an aroused mob and to preserve the vanity of despotic ruler. There is no good news in that story, but it is a stark picture of the ugly truth about the world we live in. Our own nation has a gruesome history of massacres of the first nations people of this land, and some of those massacres were treated almost as a form of entertainment. I’ve just been holidaying in New Caledonia, one of the Pacific Islands from which indigenous people were kidnapped to work as slaves on the cane fields of North Queensland. And while we often think that such practices have been eliminated, it is probable that there are more slaves in the world today than there has ever been at any previous time in history. The good news is that it is from precisely such a callous and cruel world that God will spare no expense to rescue us. In and around the Thai cave, we caught a glimpse of what the world will look like when it has been transformed into the courageous and compassionate culture of God. We also caught a glimpse of the cost. There is a family in Thailand this week grieving the death of beloved son and husband and father. 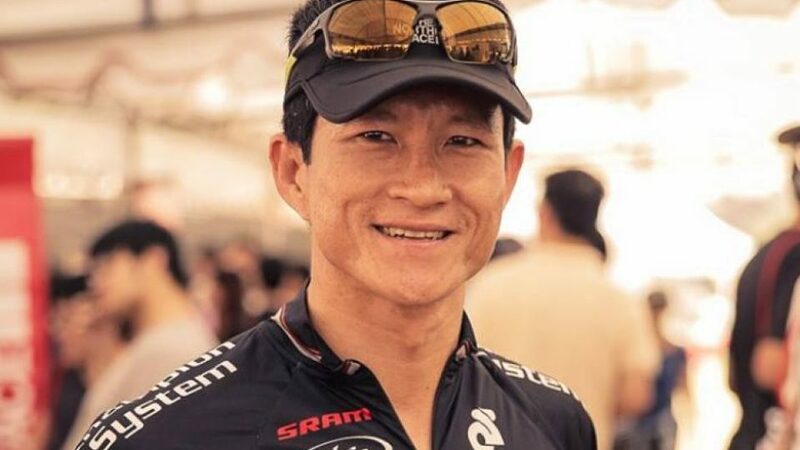 Saman Gunan volunteered to put his life on the line in the rescue mission, and it cost him his life. His family are proud of his heroism, but that doesn’t diminish their grief. God does not pull back from paying such a price either. The death of a beloved son in the rescue mission that seeks to save us from drowning in cruelty and callousness is an unimaginable price, but God’s passion to get you out and adopt you as God’s children will not be deterred, no matter what the risks. This may be the product of an over-active imagination, but I caught another glimpse of the cave rescue story in our first reading from the second book of Samuel. We heard the story of King David bringing the Ark of the Covenant up to the city of Jerusalem. The Ark was the great symbol of God’s presence with the people, and it had been with them since the days in the wilderness after the exodus from the land of slavery. Tonight we heard about the enormous joyous procession as it was carried into the city. Everybody was singing and dancing and cheering, and we even have this picture of them carrying it just six steps at a time and after each six steps they stop and the King offers up another thanksgiving sacrifice to the Lord. As I read that this week, I was weirdly reminded of the pictures of the rescue workers carrying the boys on stretchers out of the cave. The progress was slow and careful, but in that final section approaching the mouth of the cave they were surrounded by an enthusiastic and joyous crowd. And it struck me that just as the Israelites were carefully carrying a sign of God’s presence, of the world they longed for, so too were the Thai rescue workers. The boys on their stretchers were a potent symbol of the world that we yearn for, the world that we long to live in; a world where every life is precious, and courage and compassion unite to rescue every lost and imperilled child, woman or man. Perhaps that is part of the reason that events like those in the Thai cave so transfix us. Perhaps it is not just that we share a primal fear of dying slowly in a dark hole deep underground, although I’m sure that is part of it. Perhaps it is even more that we saw the world put aside its differences and show its best self. Perhaps it is that we caught a glimpse of the world transformed in the likeness of Jesus, a world that treats all its children the way each of us yearn to be treated. Perhaps it is that we experienced a fleeting taste of the Kingdom of God, the culture of God, the world as it is destined to be. Each time we catch such a glimpse, such a taste of the transformed world that God makes possible, it transfixes us and leave us hungering for more. Here at this table tonight, we are invited to taste it again and, nourished by these tastes and visions from the table and from Thailand, we are called to lean into the vision, to live with unbounded whatever-it-costs love and mercy and compassion and courage, and to follow Jesus in being the change we long to see.